Milt Jackson and Hank Jones had already gone to New York and made their names. But coming of age in Detroit in the early fifties were Fuller, Donald Byrd, Elvin and Thad Jones, Paul Chambers, Louis Hayes, Kenny Burrell, Barry Harris, Pepper Adams, Yusef Lateef, Sonny Red, Hugh Lawson, Doug Watkins, Tommy Flanagan and many others who would make the mid- decade migration to New York and eventually international recognition. Blue Note's Alfred Lion had also heard about Fuller and went to see him at the Cafe bohemia with Miles Davis's sextet. 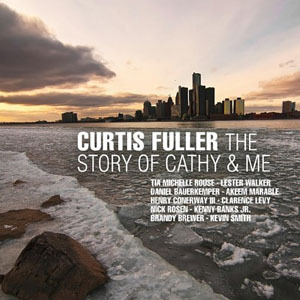 Curtis joined the Blue Note family, appearing on a Clifford Jordan date on June 2 and making his own, The Opener, with Hank Mobley, on June 16. That summer Curtis was everywhere. Alfred brought me into dates with Jimmy Smith and Bud Powell. And then we did Blue Train with John Coltrane. 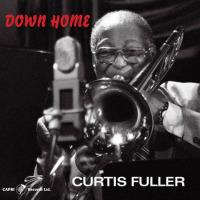 And I became the only trombone soloist to record with those three artists. So after eight months in New York, Curtis Fuller had made six albums as a leader and appeared on 15 others. Even in those prolific times, that's pretty impressive for a newly-arrived trombonist. At the end of '58, Benny Golson asked Curtis to share the front line for a Riverside blowing date entitled The Other Side Of Benny Golson, which put the emphasis on Benny's tenor playing rather than his composing and arranging. The chemistry between these two hornmen clicked, and they would record an album under Curtis's name for Savoy [Blues-ette] and three under Benny's name for Prestige in 1959 with various rhythm sections. They also made two Fuller albums for Savoy with trumpet added to the front line, which laid the groundwork for the creation of the Jazztet. All About Jazz musician pages are maintained by musicians, publicists and trusted members like you. Interested? 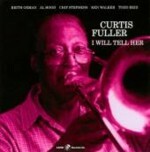 Tell us why you would like to improve the Curtis Fuller musician page.